When you seek for your MSP business to progress, you are going to need the power of wisdom in your arsenal. Now wisdom is not something you can acquire as easily as purchasing a toothpaste from the local grocery store. It is going to take years of experience, the right attitude and a whole lot of refinement from trials and challenges. Nevertheless, wisdom can also be gained from wise people. 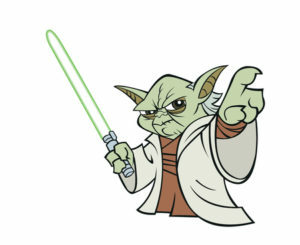 In this case, we are going to delve into precious business lessons from the ultimate Jedi Master Yoda. This is probably the most memorable if not the best quote of the entire Star Wars saga. It is the incredible last line that helped Luke finally lift out his X-wing from the swamps by being serious and believing that he can do it. If you really want to succeed in the IT services industry, you need to be deliberate about it. Do not permit yourself and your staff to just ‘try’ as this is an unconscious acknowledgment of failure. It is time to make things happen! Yoda wanted Luke to learn that what he believed to be true is what kept him from lifting his spacecraft with the Force. Throughout our lives, we pick up a lot of knowledge, practices, and dogmas that have become antiquated. Many business people do not realize this and they continue to use such practices expecting to have great results. It is time to recognize what are these outdated methods and strategies you need to unlearn and explore your imaginative and creative side. Luke was impatient and angry when he met Yoda in Dagobah. The line reminded Luke that learning and becoming a Jedi takes a lot of patience. Your IT business won’t become successful overnight. It is going to take a lot of effort, time, and patience before you reap the fruits of your labor. Before Yoda died, he instructed Luke to pass on his wisdom to others. As you grow in your business wisdom, it is essential that you share whatever you have learned to your employees and to other companies. You can do this by writing blogs and books, uploading podcasts, or being a speaker at forums and expos.